Are you looking for a NY camp? NY camps come in all shapes and sizes. When you begin your search for camps in NY, there are sleepaway camps and NY day camps to choose from. World of Discovery Day Camp is at the top of the list among day camps in NY. 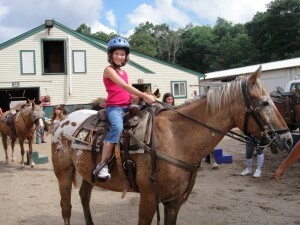 The goal of all summer day camps in NY is to provide children with a fun and safe summer. There are many components that contribute to fulfilling the goal that all NY summer day camps share. If you are searching for day care in NY, you may want to consider sending your child to one of the summer camps in NY instead. The difference between a day care center and a summer camp in NY can be great. Most day care centers in New York run summer camps in the summer. The summer camps generally are a continuation of the day care that takes place during the year, except that they may add a sprinkler to the equation. The summer camp experience at World of Discovery is much different than that of a typical day care center in New York. For starters, World of Discovery provides air-conditioned door-to-door roundtrip transportation as part of your child’s summer camp tuition. In addition, included in your child’s summer camp tuition are 2-3 field trips to some of the most exciting kid-friendly locations in New York City and Long Island. Your child will also have the opportunity to swim in our private swimming pool and receive small group instruction by American Red Cross certified lifeguards. Lunch is also included in your child’s summer day camp tuition. For more information about World of Discovery Summer Day Camp of Bayside, Queens NY, please call us at 718-229-3037, email us at info@worldofdiscovery.org or come visit us at our next NY summer day camp Open House event. This entry was posted in New York City Summer Day Camps, NY Summer Camp and tagged camps in ny, day camps in ny, day care center, day care in ny, new york city summer camp, ny camp, ny camps, ny day camps, ny summer day camp open house, ny summer day camps, summer camp in NY, summer camps in NY, summer day camps in ny, summer day camps in nyc, swim instruction nyc kids, World of Discovery. Bookmark the permalink.